With only three weeks to go in the regular season, both the girls (6-0, 11-3) and the boys (6-0, 11-2) basketball teams from Shorecrest find themselves undefeated and in first place in the 3A WesCo standings. Ladies first…. Rookie head coach Carlos Humphrey inherited a talented squad from former coach Dori Monson, and he has taken that talent and added some of his own touches, including switching defenses back-and-forth, using a variety of zones as well as man-to-man. On offense, the team takes advantage of its height by running a high/low post offense. 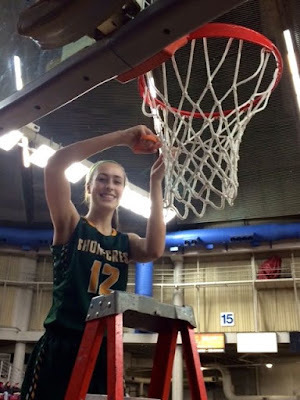 The team’s lone seniors, Shelby Gresch (5’11”) and Julia Strand (6’1”), were integral parts of the State Championship team from two years ago, and their leadership down the stretch will be vital if the team is going to hang another white banner in the gym. Strand, who was the team’s leading scorer two years ago, was lost for the season last year to a horrific knee injury. Her mere presence this season is a testimony to her character and dedication. The unselfish-to-a-fault Gresch needs to shoot more. Junior Audrey Dietz puts her lanky 6’1” frame to good use scoring and rebounding. Junior Jenna Tikalsky and sophomores Kira Wood, Sydney VanNess and Amanda Lee all saw significant playing time as freshmen last year. VanNess is a scrappy, rugged player, Tikalsky a good ball-distributor, Lee a deadly outside shooter, and Wood is the point guard whose primary priority needs to be getting the ball to her teammates. The Scots face the toughest stretch of their schedule in their final six games, as they play all the teams that are right behind them in the standings. Their biggest challenge will be to increase their intensity and focus on each possession, and play smart, tough, and hard-nosed hoops from the opening tip to the final horn. Friday night they’ll host Edmonds-Woodway, coached by former SC coach Jon Rasmussen. Four of their final six games are at home. As for the Shorecrest boys, they are led by 6’9” Philip Pepple and 6’2” Chris Lee, both seniors. Pepple is one of those rare high school athletes who is clearly ready to play at the next level. He can score from outside as well as inside. Rims around the league are still rattling from the force of some of his thunderous dunks. Lee is rare in his own right, a true three-sport star (football, basketball, and track) who unselfishly gets the ball to others when they’re open, but can score prolifically when needed, especially from beyond the three-point stripe. The challenge facing Coach Brian Fischer’s squad will be finding other players who can score when opposing defenses overcommit to stopping Pepple and Lee. Saturday January 27 is one date in particular for local fans to circle on their calendar. This year’s Hoopapalooza will be at Shorewood, with the girls' varsity game starting at 5pm, while the boys' game kicks off at 7pm. It’s always a festive occasion, a celebration of our two schools' basketball teams and the genuinely friendly rivalry that exists between them.